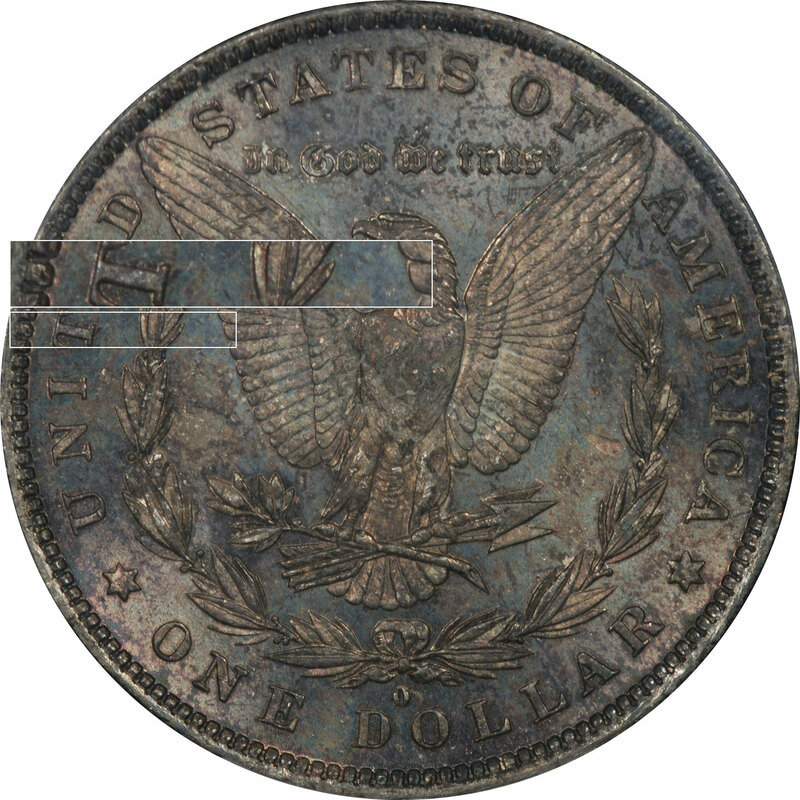 Comments: We have some advantages that PCGS lacks in our time and some graphics tools that allow us to see below the surface color, even when it is as dark as the reverse of this coin. 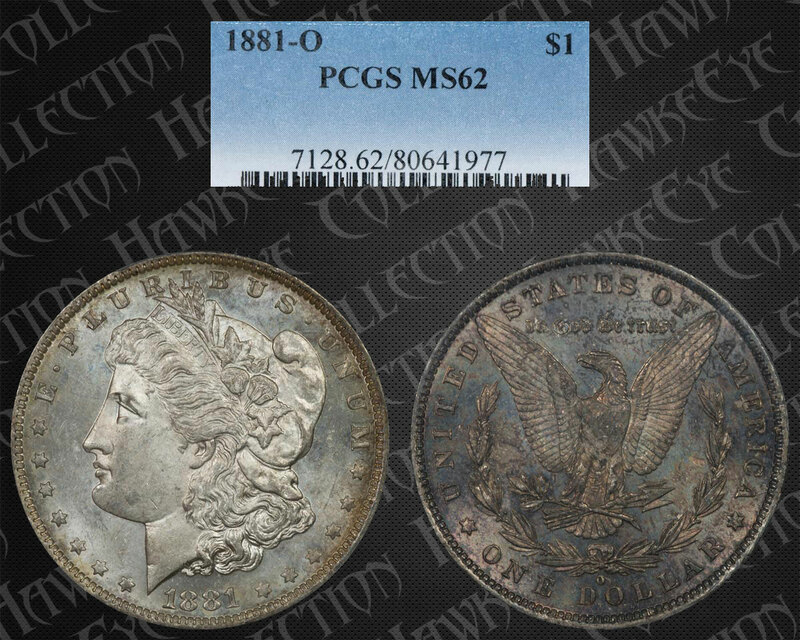 We think they get it right most of the time, but when you remove the dark toning we would rate this coin as either an MS 63 or maybe even a low end MS64. VAM 38 is relatively easy to identify because it is only dependent on the wreath and legend duplication. To us this one is pretty easy to diagnose because of the reverse. It appears that the reverse was on the outside of a bag and took considerable damage from moisture and bag chemistry. 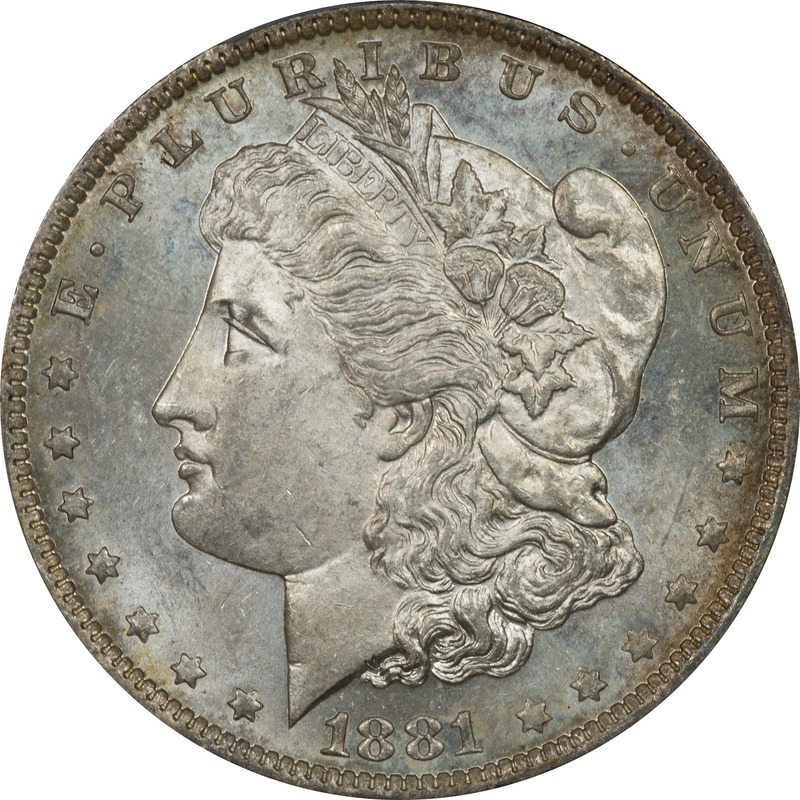 The obverse was probably turned inward and received damage, but the damage was starting to creep in around the rim. You might what is to be learned by a coin that is this dark, but it illustrates the end of life for a toned coin well. The reverse is at a deep purple, glossy black stage which is very close to terminal.